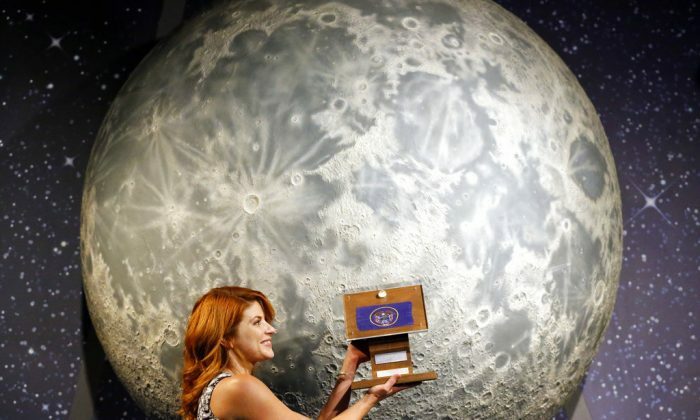 SALT LAKE CITY—A strange thing happened after Neil Armstrong and the Apollo 11 crew returned from the moon with lunar rocks: Many of the mementos given to every U.S. state vanished. Now, after years of sleuthing, a former NASA investigator is closing in on his goal of locating the whereabouts of all 50. Now a lawyer in the Houston area, he’s also a college instructor who’s enlisted the help of his students. They record their findings of the whereabouts of the discovered moon gems in a database. In New York, officials who oversee the state museum have no record of that state’s Apollo 11 rock. In Delaware, the sample was stolen from its state museum on Sept. 22, 1977. Police were contacted, but it was never found.